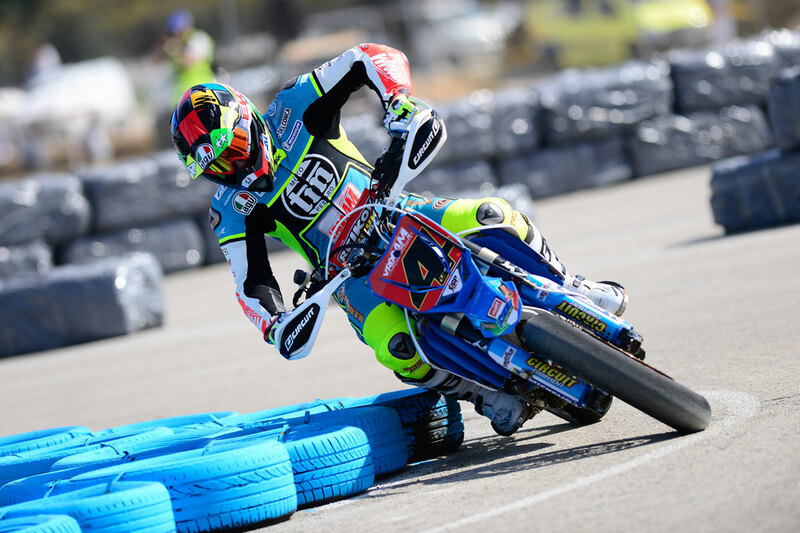 Runner up in the final round of the Supermoto World Championship in Castelletto du Branduzzo, Thomas Chareyre claimed this weekend his fifth World title. Thomas Chareyre win again ! Thomas Chareyre win at Loheac ! Great racing last weekend in Loheac for the French Championship. 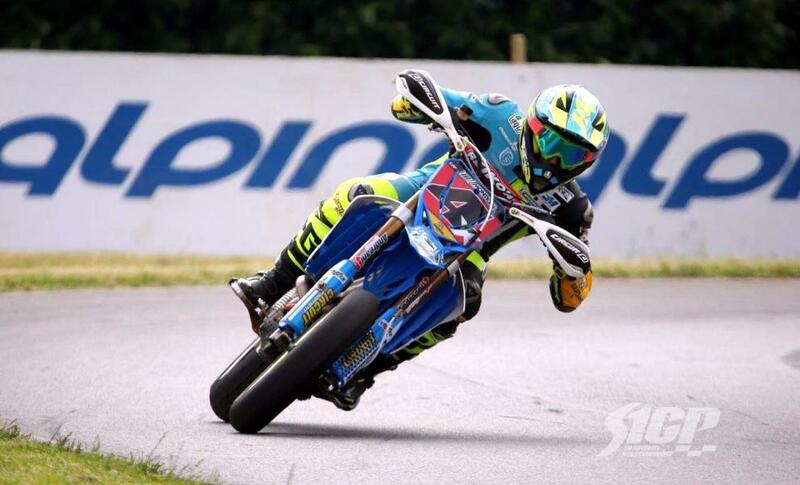 Apart from extraordinary riding skill and unparalleled sliding technique, Thomas Chareyre has had another outstanding weapon in his armory when going for his four Supermoto world titles: his FIVE SF1 gloves. 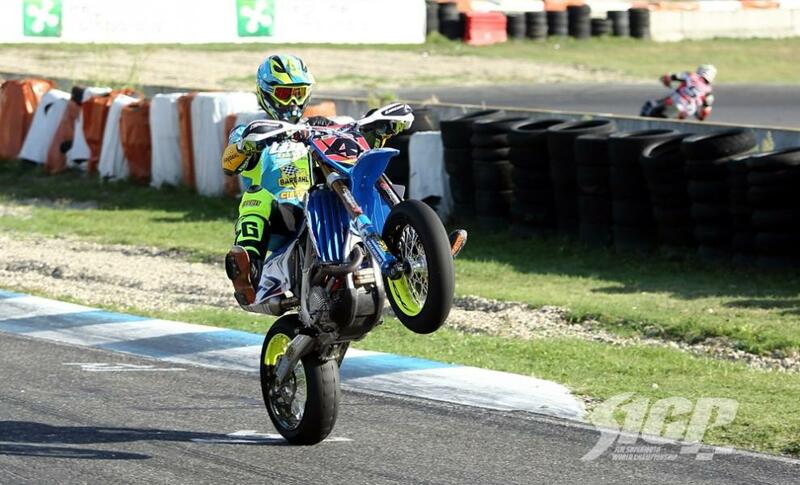 Thomas CHAREYRE won his third Supermoto World Championship wearing FIVE SF1 gloves, riding his factory TM, after an incredible season. 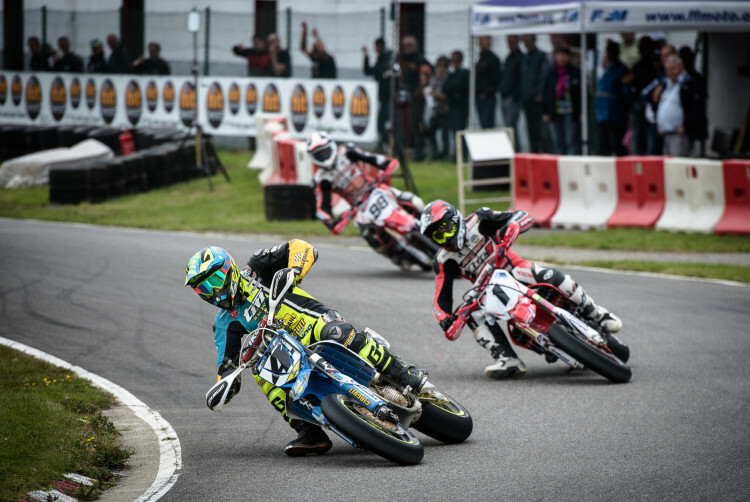 Thomas came to the final which took place at Jesolo (Italy) with 14 points ahead of his Finnish rival (2013 World Champion) Mauno Hermunen (also FIVE rider) who had no choice but to beat the French to retain his crown. 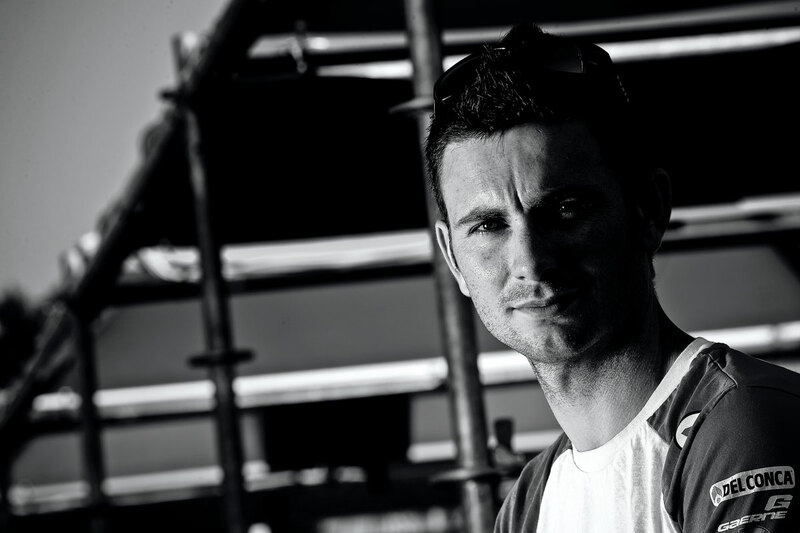 Thomas proved to be the most efficient on the duration of the championship and intelligently managed his lead to finish third in the first heat and 4th in the second race after a poor start. 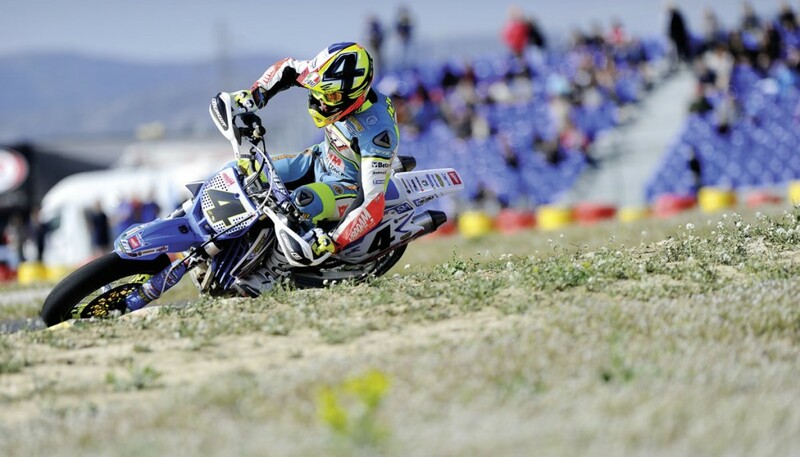 This result proved enough to clinch the riders’ title as he offered TM the manufacturer title. This is Adrian’s brother Thomas, who won the final round. 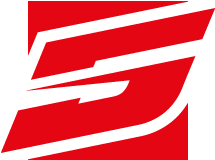 Obviously, the FIVE riders have dominated the championship race after race. Triple World Champion : congratulations Thomas!